The Hills Group has been fulfilling the dream home vision of our clients throughout Northern California for over 20 years. Based in Granite Bay, the Hills Group is an award-winning, full service, design-build custom home contractor. We’ve teamed up with the area’s finest experts to provide in-house real estate, design, construction, millwork and landscaping services. From site selection and planning through design and construction, the Hills Group team has the creativity and expertise to bring exceptional luxury homes to life. The design-build process the Hills Group offers is one of the most efficient construction options available and allows us to pass along the benefits and cost savings to you. Consider this: Streamlined Responsibility: The design-build approach means architecture, design, engineering and construction are with one firm that is unconditionally committed to the success of the project. Less Stress: Eliminate the stress of having to interview, hire and work with multiple different companies and contractors, and be confident that The Hills Group can take care of all your home building needs. Precision Pricing: Avoid the disappointment of a builder telling you that your architect designed a home outside your budget. A design-build team can forecast more accurate construction costs than traditional methods. Value-Engineering: By designing with more efficient and cost-effective construction solutions from the start, we can maximize your budget and avoid costly mistakes in the field. Higher Quality: The design-build process allows resources and attention to be productively focused on exceeding quality expectations. Novoya Design + Construction is a Design Build Firm serving the needs of homeowners in the Sacramento & Surrounding areas. 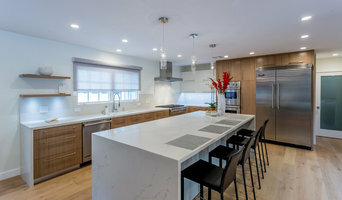 We specialize in residential home construction and remodeling, and are experienced in every aspect of the home including Architectural & Interior Design. AJ Construction & Remodeling is dedicated to providing a remodeling experience of the highest quality. Whether you simply want to upgrade your old lighting to modern energy-efficient LEDs, reinvent your kitchen, upgrade a bathroom, add a bedroom, or rebuild the entire house, we will make it happen. We work hard to ensure that projects are completed efficiently,and with a minimum of disruption and mess. We have decades of experience in the building industry, with over 20 years combined working in Davis. We pledge to use that experience to help you manifest your vision. 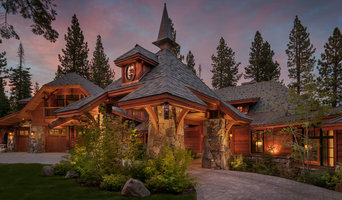 Healthy Home Consultants is a green design-build firm based in South Lake Tahoe and Carlsbad, California. JSV Custom Homes in Folsom performs all levels of building and remodeling. We offer start-to-finish solutions for every project. We guarantee high-quality construction for each and every project. Check out samples of our recent work, and you'll agree that we're the best choice for your home renovation project. A clear choice when only the best will do is D & J Kitchens & Baths, Inc.! 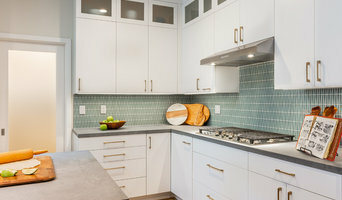 We've been designing and remodeling kitchens, baths and whole homes for your Sacramento neighbors since 1981. We are an authorized dealer of Dura Supreme Cabinetry. D&J has full-time in house design staff for your remodeling needs and we charge no upfront design fees! Our clients choose us because of the total quality control we exercise over their remodeling project, and they receive what they have envisioned. With D & J Kitchens and Baths Inc., of Sacramento, CA., you can be assured that we oversee your job from start to finish. No questions are left unanswered and your project is sure to be completed just the way you want it. We stand accountable for every phase of the job. Firms that can carry out both design and construction in Sacramento, CA take on the combined responsibilities of an architect, draftsman, construction company and additional contractors, providing one point of contact for homeowners. Having one entity responsible for the entire design and build, from estimation to subcontracting and even post-construction, streamlines and often speeds up the project significantly. Having a unified project team can also help you avoid unforeseen costs and delays in construction. In addition, the homeowner only has to interpret one contract with the design and construction firm, and not with various architectural design and contracting professionals. However, depending on the firm, you may still want to contact an interior designer or architect to help create the exact look you want. Here are some related professionals and vendors to complement the work of design & construction firms: Interior Designers & Decorators, Landscape Architects & Designers, Architects, Photographers. Project management demands time, skills and an eye for both detail and efficiency. While many homeowners choose to manage their own projects, they can often regret their decision once the build or home improvement project is complete. Homeowners should carefully consider the time they have available to allocate to locating, hiring and eventually paying every contractor who enters the site. From certifiers to roofers, and even your draftsman, a firm that can undertake design and construction in Sacramento, CA benefits from having all of these home professionals under one roof. 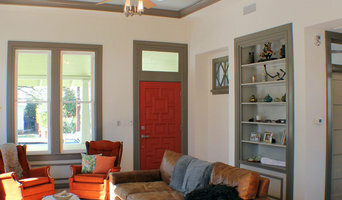 Find a Sacramento, CA design-build firm on Houzz. Scroll through this page to find design-build firms in your area. You can browse recent projects, read reviews and message the firm directly. 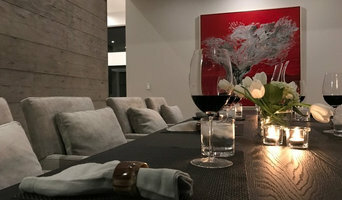 Another way to find a firm that can carry out design and construction in Sacramento, CA is to browse Photos on Houzz. If there’s a photo you like, find out who designed and constructed it and strike up a conversation with the professional responsible.